It goes without saying that jewellery is the ideal gift for any special occasion. Whether it’s a pair of earrings, a pendant or a bangle, trinkets can make any woman smile. 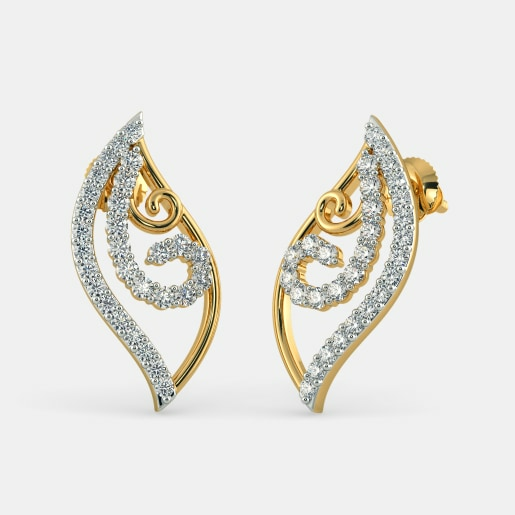 However, earrings are the most popular type of jewellery to be gifted. It is hard to go wrong with earrings and you don’t have to worry about the size. At BlueStone, we have a splendid collection of earrings you can choose as a gift. Our gift earring designs vary by theme, price points, and gemstones. Are you looking for a birthday gift for a friend or a family member? Here is a collection you can choose from. 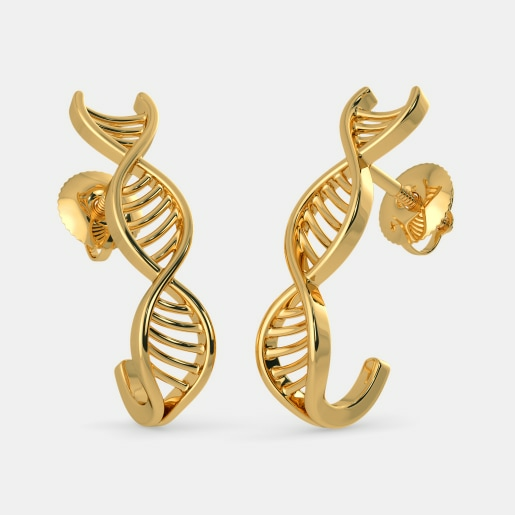 You can buy gift earring designs in the form of studs, danglers, hoops, etc. If you are shopping for a friend who likes flowers, you could buy the Mariposa Earrings or the Anvita Earrings. 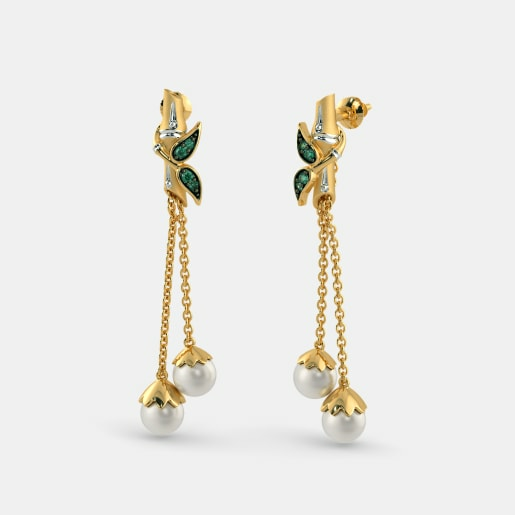 For a little princess, the Pretty Butterfly Earrings for Kids are a perfect pick. Menfolk, we make your job of choosing birthday gifts easy. Are you looking for a special birthday present for your wife? 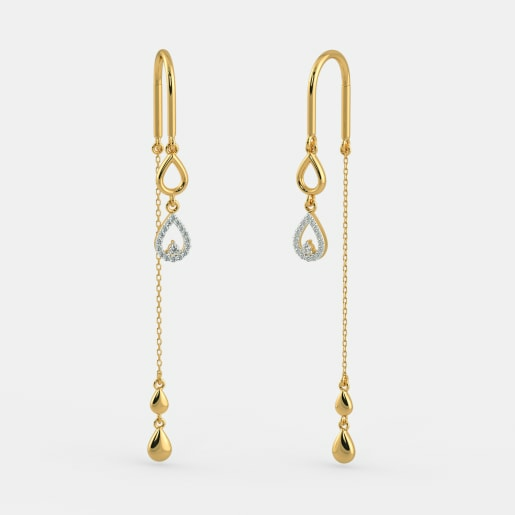 The Arion Earrings and the Fusia Earrings will bring a smile on her face for sure. The Prima Earrings and the Hernan Earrings are a perfect birthday gift for a sister. When it comes to birthdays, the best gift earrings may be birthstone earrings. The Brigyda Earrings with rubies are ideal for a Capricorn woman. 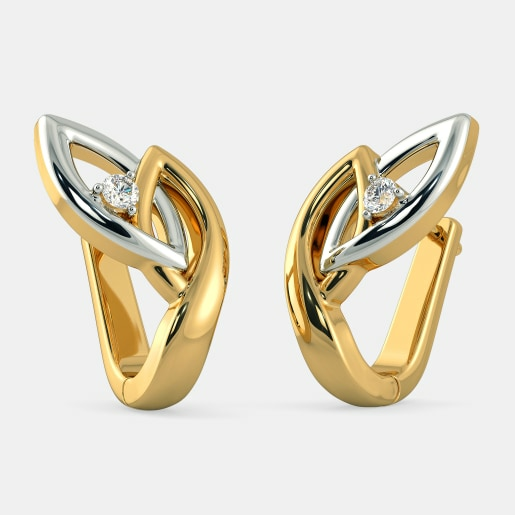 Similarly, the Ethea Earrings will be loved by a Piscean woman. Remember the way your wife’s eyes sparkled when you slipped a ring on her finger on your wedding day? If you want to recreate that moment, you could buy gift earrings online to do the trick. The heart is one of the most favoured symbols of love across the globe. A pair of heart-shaped earrings, like the Letizia Earrings and the Ziel Earrings, can be just the right gift when you celebrate your eternal love. However, not all women like hearts. Some women may prefer abstract or geometric designs. 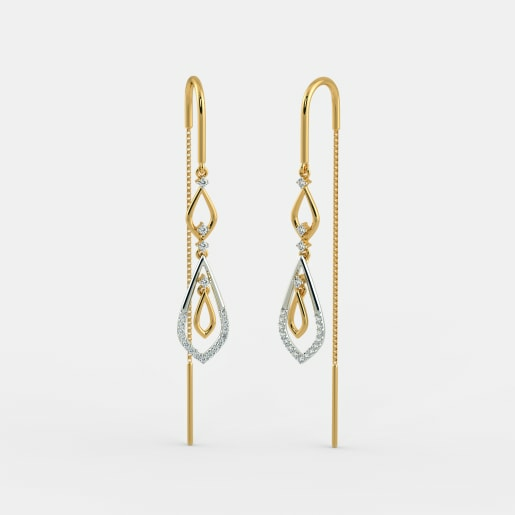 For them, we have the Kreisen Earrings and the Twisting Tango Earrings. Women who like ethnic style danglers will take an instant liking to our Pleasing Petiole Earrings. On the other hand, a woman who likes modern danglers may prefer the Fenced Axis Earrings. 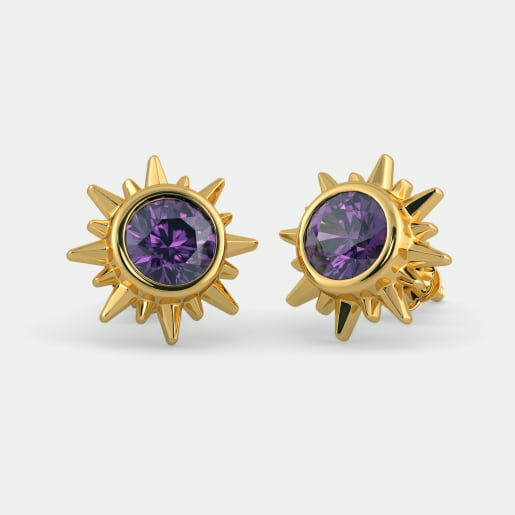 Studs like the Vesta Earrings or the Ilus Earrings could also make a great anniversary gift. Many men like earrings as much as women. 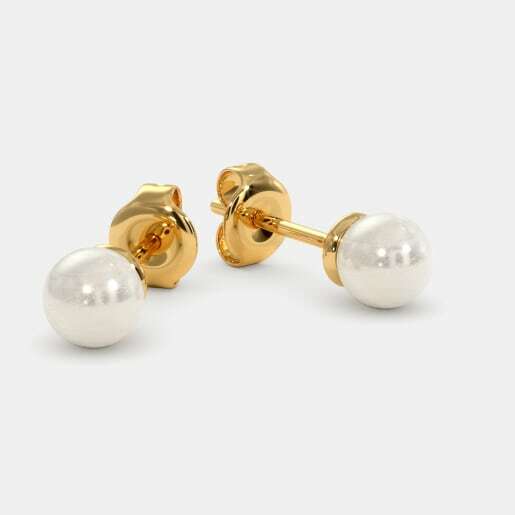 For men who like to flaunt their jewellery, earrings make the perfect birthday gift. Solitaire studs like the Cachet Earring for Him and the Eclat Earring for Him are a classic favourite amongst birthday earrings for men. If you are looking for something a little bolder, take a look at the Savant Earring for Him and the Savoir Earring for Him. 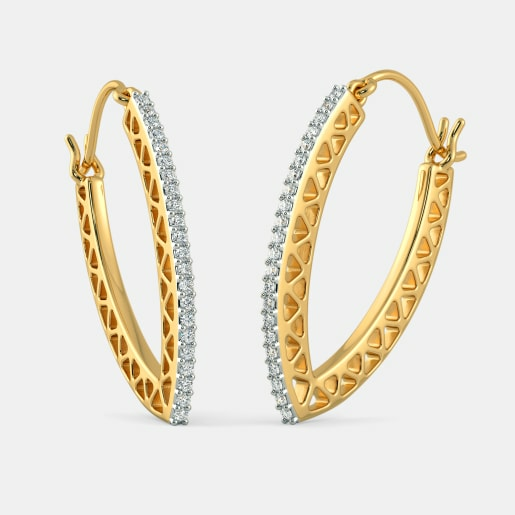 You could also take a look at hoop earrings like the Felicite Earring for Him and the Cirque Earring for Him. You could also look at birthstone earrings. The Alicio Stud for Him with a brilliant emerald is perfect for a Cancerian man. Gifts add colours to your special moments. 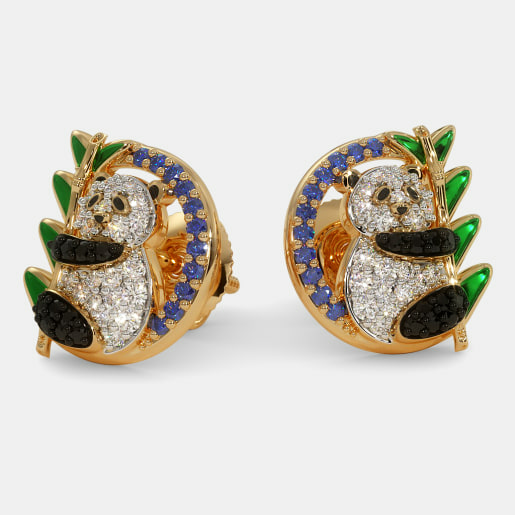 Why not make them a lively affair by choosing a pair of colourful earrings? If you thought gold comes only in the iconic yellow, you are in for a surprise. When being used for jewellery, gold may also be white or rose. 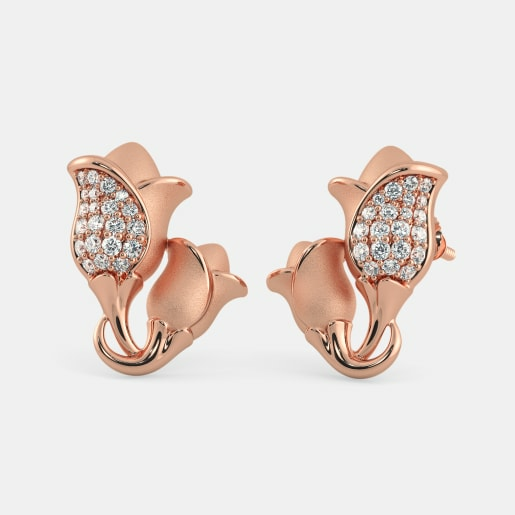 BlueStone’s gift earrings collection contains pieces made of yellow, white, and rose gold. 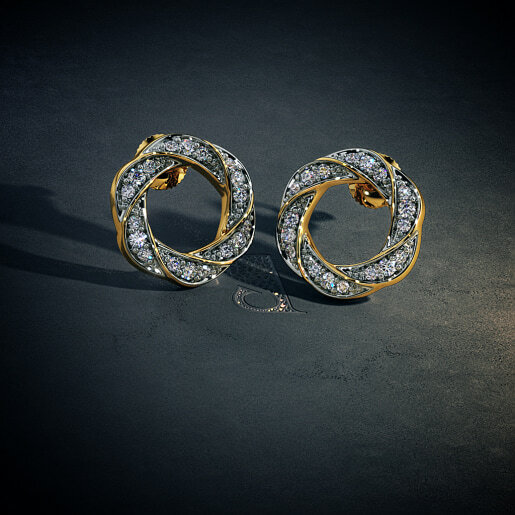 In the world of jewellery, gold is a timeless classic. 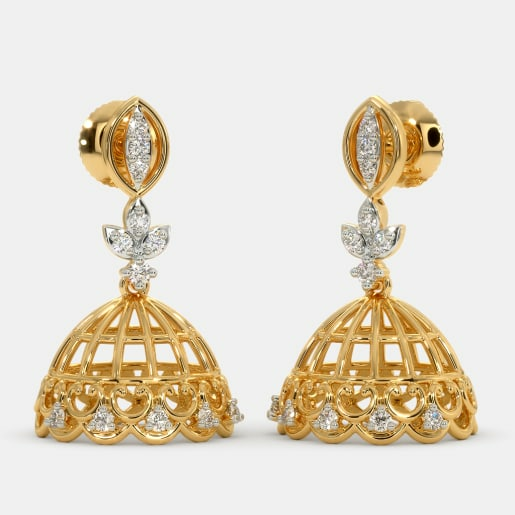 Some of our favourite gold earrings are the Charvi Jhumka and the Azura Earrings. 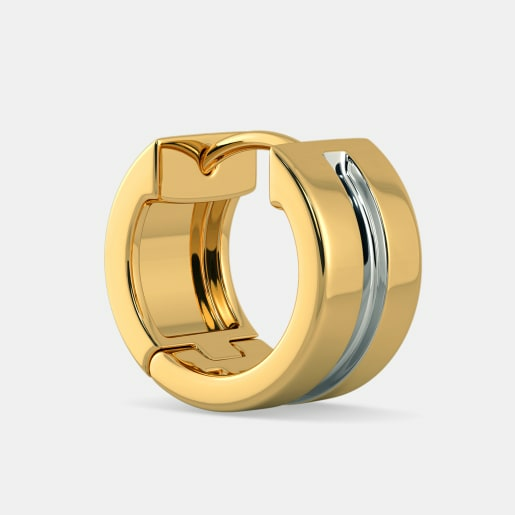 White gold, on the other hand, has a trendier appeal as compared to gold. 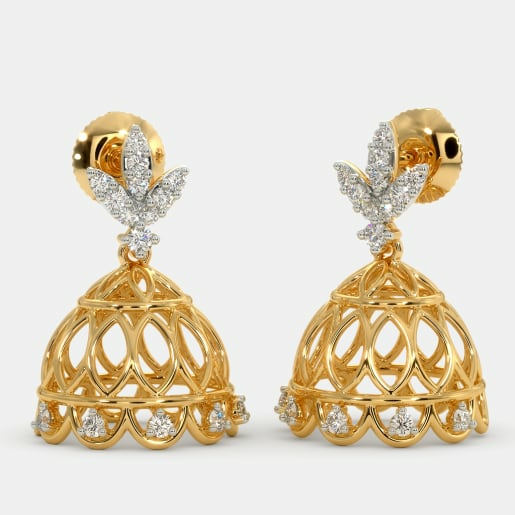 This can be noted in designs like the Miles to Go Earrings and the Truly Madly Deeply Detachable Earrings. Rose gold is the trendiest hue of gold available in the jewellery market today. It is beautiful, romantic, and hard to resist. The designers at BlueStone have made the most of this romantic hue. 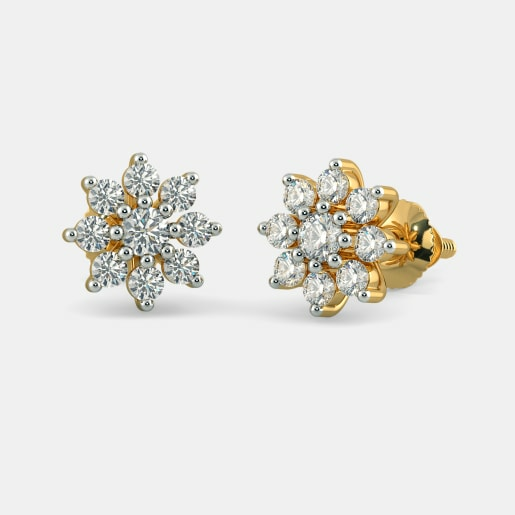 The Elegant Tulip Earrings and the Winter Rose Earrings o are two hot-selling studs in this collection. 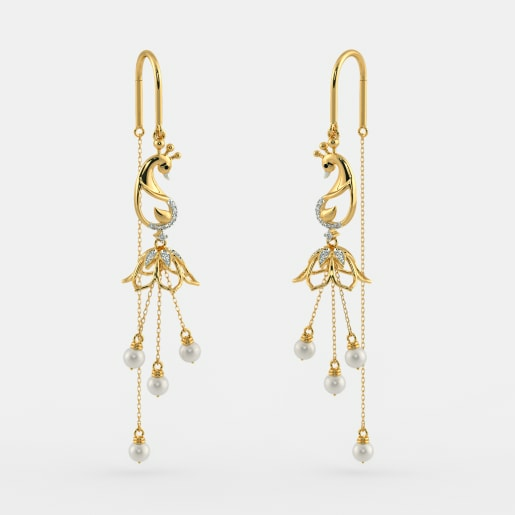 Those looking for a pair of danglers can go for the Exotic Lotus Earrings. The colour of gold is not the only way to make your gift a colourful one. 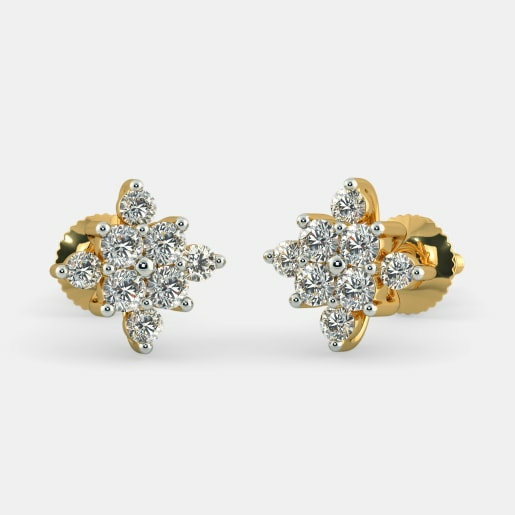 When you buy gift earrings from us, you can also choose a pair studded with gemstones. This is important especially if you are choosing a gift for a woman who likes to colour coordinate their outfits and earrings. For example, you could pair a red dress with the Root Chakra Earrings or the Trivalle Earrings. Similarly, you could pair a yellow dress with the Origa Earrings. 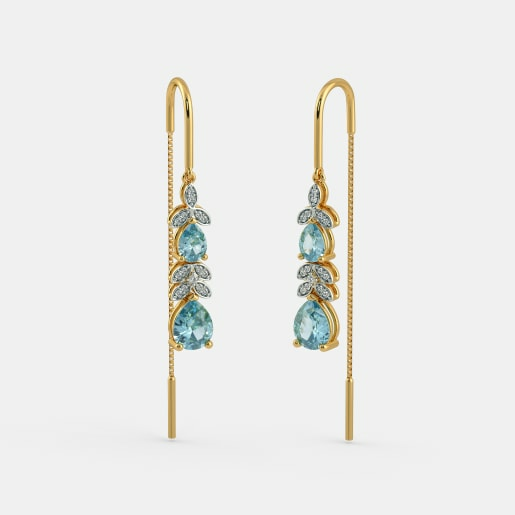 The Neo Elegance Earrings and the Lylia Earrings complement a blue dress perfectly. When life gives you colours in the form of gemstones, why not gift it to your loved ones? 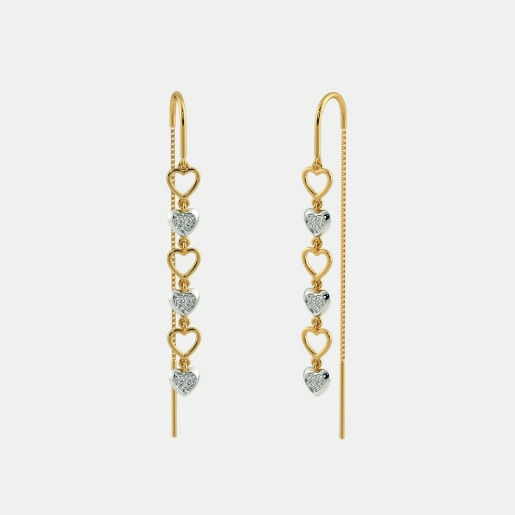 How to Buy Gift Earrings? When buying a pair of earrings as a gift, there is an important aspect you should keep in mind – the shape of the wearer’s face. 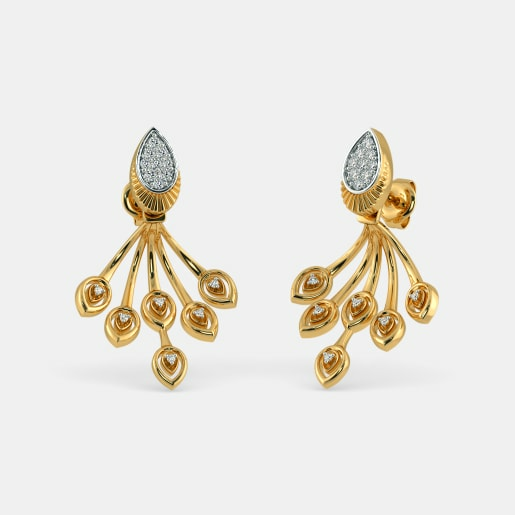 The right kind of earrings can accentuate the beauty of the wearer and highlight her facial features. A wrong pick might do more harm than good! For a woman with a round face, you can choose long drops and danglers, but avoid hoops and button studs. 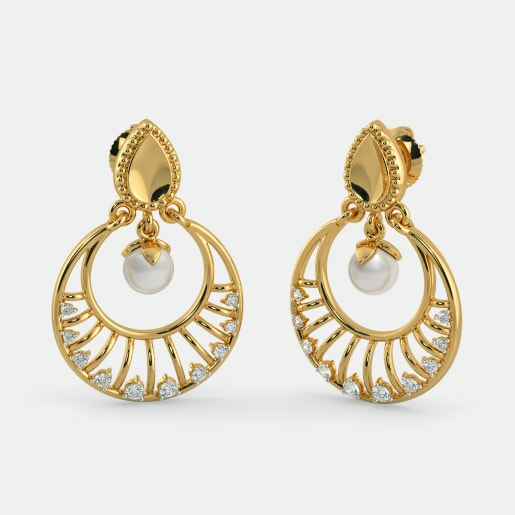 Oval or circular earrings and hoops are ideal for a square-shaped face while a woman with a heart-shaped face looks splendid with chandeliers and tear-drop earrings. 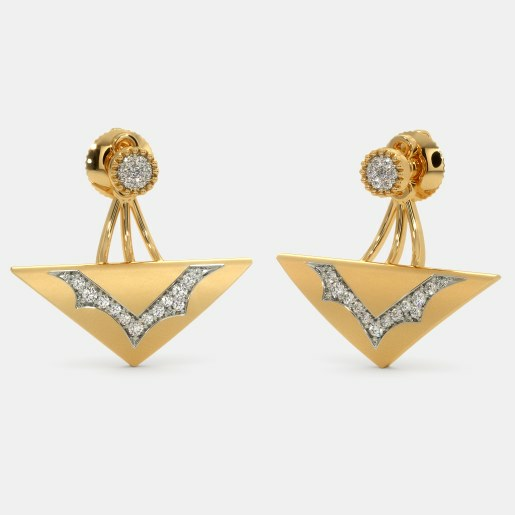 When buying a pair of earrings for someone with an oval-shaped face, you can pick almost any design except triangular earrings. 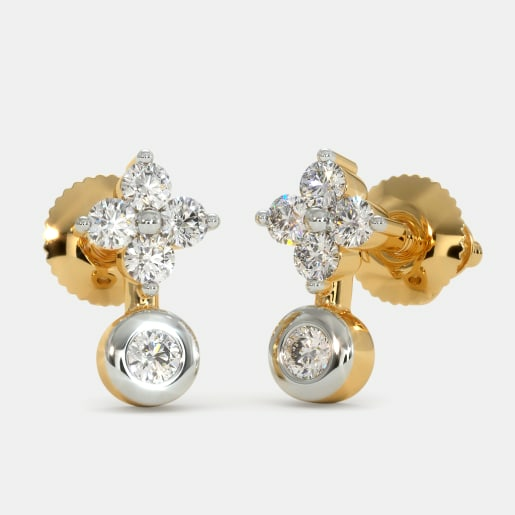 So, browse our collection and find a pair of earrings that will brighten up your loved one’s face. Our gift earrings price tag is sure to brighten up your face too!